MoreApp digital forms is often compared with Google Forms. However, MoreApp and Google Forms are very different, the idea might be the same but the delivered service and product aren't that similar. In this blog Google Forms is compared with MoreApp. 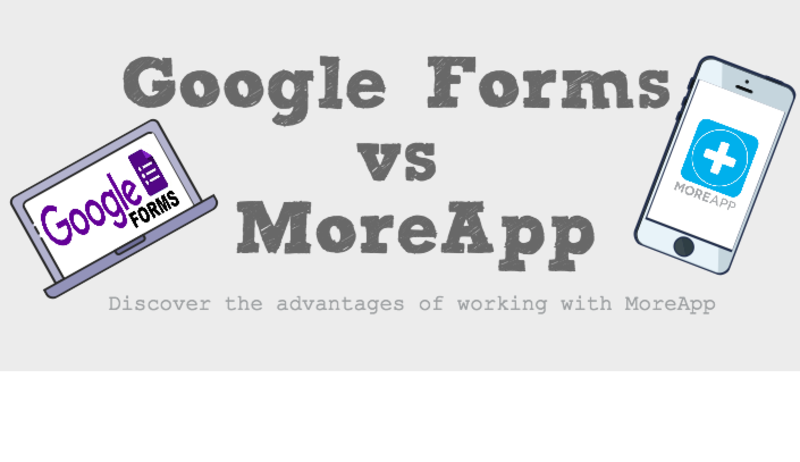 We visualised the differences between Google Forms and MoreApp below. Discover what MoreApp can offer you and sign up for free !